Killer Characters: Ghosts in the Attic?? 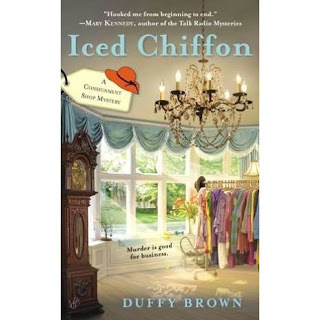 Hi, Auntie KiKi from Duffy Brown’s Consignment Shop mysteries set in Savannah. 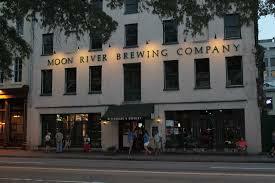 We’re gearing up for one of the most fun holidays in Savannah...Halloween! 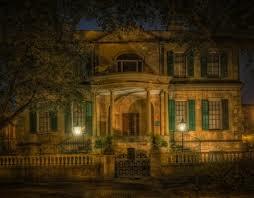 Savannah may not have a lock on Halloween but we do have something special to toss in that we are haunted! Third most haunted city in the US so that’s a lot of haunting in my book. Usually I just chalk this up to hype to bring people to Savannah. It’s good for business. 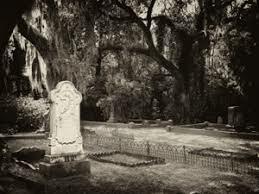 The Haunted Savannah tours love it, the haunted hotels like the Marshal House loves it ‘cause it’s good for business and the restaurants like The Pirate House and the Old Pink House love it. The waiters love telling tales of peach cobbler flying across the room and room 212 that’s always cold and the phones that never work. Seems the ghosts love electronics and messing with them. Like I said it’s the hype for the city and tourism...or is it. Something’s in my attic! I’ve lived in my 140 year old Victorian house, Rosegate, for forty hears now and not so much as a peep. But lately there are noises, big noises. Things going pump in the night noises. Why would my attic suddenly be haunted? What’s going on? Or is there something going on in my attic more sinister? My lovely husband Putter...named thus because he carries a putter with him everywhere...is out of town at a doctors convention. Wouldn’t you know! Why do these things always happen when he’s away? So my question is...do you think I have a ghost in my attic? Is it someone looking for something after all these years? Or is it just my imagination and I should go get myself another martini and try and calm down? Let me know what you think and I’ll give away a copy of Iced Chiffon from the answers! Yes Kiki, I think it's ghosts! We had a squirrel in our attic - he was really active at night. There a hilarious segment on This American Life about a squirrel in the attic. I laugh every time I hear it. So, I vote for a squirrel. Although I love hauntings and consignments, I vote for a human visiting the attic. You definitely have a ghost. I've always wanted to visit Savannah. Since your home is in Savannah, I think it's probably a ghost. Have another martini, it's probably a friendly ghost. It's probably a ghost, but go ahead and have another drink!!!! Ghosts sound about right and now for that drink. Since I don't believe in ghosts, I say imagination. However, I love to read books with ghosts in them. Ha...It's ghosts practicing for Samhain when the spirits of the dead mingle with the living. Find you some holy water...Boo..Happy Halloween. I'm Wiccan so I believe in spirits being among us. I would say though if you're not liking spirits living with you, you can try cleansing your home with Sage. Oh, and definitely have that martini. You know the noise in your attic may be older house's creaks & groans. Which we all get as we get older or it could be a small animal investigating. However, it could be a ghost who relates to you, loves to drink martinis, is around your age and is asking for help. Her murder goes undiscovered and she wants justice.